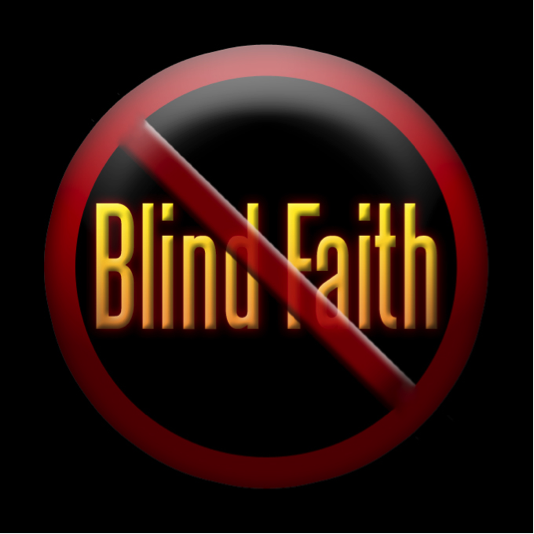 There is a common perception that the Christian faith is a “blind faith”, a belief for which there is no evidence. This misperception contrasts dramatically with the teaching of the New Testament writers, who emphasized that faith in Jesus Christ is a belief based on evidence. For example, the Apostle John wrote: “Now Jesus did many other signs in the presence of the disciples, which are not written in this book; but these are written so that you may believe that Jesus is the Christ, the Son of God, and that by believing you may have life in his name.” The Apostle Paul reminded the Corinthian church: “The signs of a true apostle were performed among you with utmost patience, with signs and wonders and mighty works. One reason for the confusion regarding “faith” is that the word has come to have a range of meanings, and is often used without a clarification as to which meaning is intended. The word derives from the Latin fides, from which we get “fidelity”. It implies a meaning of “reliance” or “trust”. Biblical Christian faith is trust placed in Jesus Christ. This is an evidence-based faith, not a blind faith. 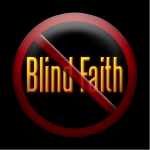 We all know how to distinguish between blind faith and evidence-based faith. We are well aware that faith is only justified if there is evidence to back it up. When buying a car, we don’t just throw our hard-earned money at any vehicle. We check out the reliability ratings of the manufacturer; we check with friends who own similar cars. In other words, we look for reasons – we look for evidence – to justify our decision to have faith in buying a particular vehicle. Another example, this one taken from the financial crisis of 2008-2009, illustrates how dangerous blind faith can be. Before it happened many had faith in the banking system, because they believed in the integrity of most bank officials. Then it was discovered that ethically responsible risk management was not a strongpoint for some senior bankers who, out of sheer greed, gambled our money away on risky ventures. Any basis for trust in them was eroded to such an extent, therefore, that the economy was paralysed, and the banks had to be bailed out. Public faith in the bankers was shown to be blind. Indeed, even the bankers’ faith in their own ability also turned out to be blind. As a result the banks were faced with the very difficult task of recovering the faith, the confidence, of the public. The system could not get moving again until a basis for trust (faith) was restored. Objection: Biblical faith is placed in someone we can’t see today – that is different from putting my faith in someone or something I can see. Science can only be created by those who are thoroughly imbued with the aspiration towards truth and understanding. This source of feeling, however, springs from religion. To this there also belongs the faith in the possibility that the regulations valid for the world of existence are rational, that is, comprehensible to reason. I cannot imagine a scientist without that profound faith. Objection: If you need evidence, you don’t have faith. This is an objection often proposed by Christians (as well as atheists) who think that the word “faith” means to believe something without any reason to and/or even to believe something in the face of reasons to NOT believe it. 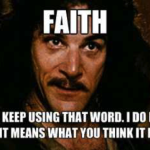 This distortion of the meaning of the word “faith” has had very bad consequences on the church because it makes a person think that Christianity requires you to be an undiscerning airhead who doesn’t like reason. Clearly, the Israelites knew that God existed and was helping them escape Egypt and yet the text states that they put their faith in Him (and Moses) in response to the evidence of His power. So given this piece of scriptural evidence we know that a Christian can base his/her belief that Christianity is true on the basis of evidence without negating their faith in God. 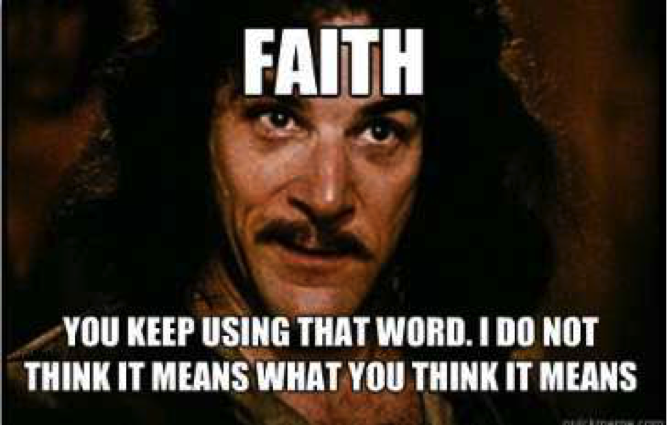 You see, faith means the same thing as the word “trust”. http://bible.cc/exodus/14-31.htm <– Here you can look at other translations of Exodus 14:31 to see all the different words that are used for “faith”. For example the NIV uses “trust” and the KJV uses “believed”. They believed IN God and His promises, with their belief strengthened by the evidence THAT He existed and was helping them. Consider this analogy. Let’s say you discovered you had heart disease, and needed a risky surgery. You have sufficient resources, so you research doctors, anesthesiologists, etc. until you have the best team possible assembled. You now have a group of people that you believe will give you the best chance of survival. Even though you have researched extensively, you still show your faith in this team when you allow yourself to be operated on.. Faith does not mean not researching and exploring for truth . Jesus makes this clear when he tells us to love God with our heart, soul, *MIND* and strength. We are never told to have a blind faith. Paul commended those in Berea for checking the Scriptures daily to see if what he was telling them was so. Jesus showed Himself alive to make sure those believed on Him, especially Thomas (John 20:28) Paul also said to “Test everything, hold onto the good.” – 1 Thessalonians 5:21. This verse seems to be telling us to have just the exact opposite of blind faith. John C. Lennox, Gunning for God: Why the New Atheists are Missing the Target (Oxford: Lion Hudson, 2011), 41. John C. Lennox, Gunning for God: Why the New Atheists are Missing the Target (Oxford: Lion Hudson, 2011), 40-41. Max Jammer, Einstein and Religion (Princeton: University Press, 1999) 94, cited in John C. Lennox, Gunning for God, 48.